Django is the most popular framework for the Python language. Basically, it was created to cover the needs of news agencies and other companies that ask for a short development period and flexible administration instruments. Nowadays, the tool meets all the requirements of modern and scalable projects. Instagram, Mozilla, Pinterest, The Guardian, Washington Post, and many others applied for the Django web development to run their services. Let’s see how the advantages of this platform correspond with a modern entrepreneur’s needs. 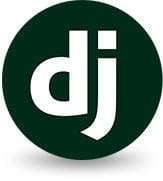 Why would you choose the DDI Development company for the Django projects? No wonder that the system's slogan is “for perfectionists with deadlines.” When you say Django you mean swiftness. The Django development has proved to be fast due to the overall toolkit with essential elements, which will help developers avoid routine code lines. Thus, we can devote more time to implementing unique ideas and creating a competitive product of your dream. Furnish up an application the way you like and don't bother yourself with constructing walls, floors, and ceilings. Currently, Django is considered to be the most featured among other frameworks in terms of common components. 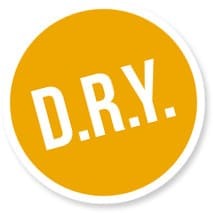 The swiftness reputation is also backed up by the D.R.Y. principle, which stands for the “don't repeat yourself” idea. The developing process would never burden an expert with repetitive code writing. Spend more time on actual creation and, when you reach a point for scaling your project, speed up the enhancements. 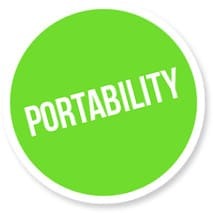 Portability is another forte of this environment. It supports Windows, OS X, and Linux. So the Django web app can be launched on every device, probably, except for the arithmometer. The database deployment is performed by means of the Object-Relational Mapper. ORM rules out any SQL writing exercises, serving as a special layer between the code and the database. You can also port applications to another database by one code line. We have to acknowledge that the ORM puts its own limitations which Django developers may face while building sophisticated solutions. But you would hardly call it a problem if you seek a fast and convenient startup solution. 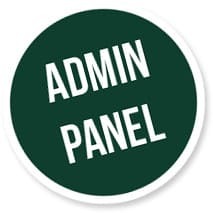 Something a non-developer will appreciate in the Django web services is the admin panel. The administration interface is a semi-automatically generated structure for content providers with a high customization capacity. Non-developers can add and edit any database object themselves without professional help. Usually, you apply to actual statistics when choosing the right web environment for startups. Being bounded by time and modest budget means looking for a fast yet powerful solution. Here is when the Python statistics come in handy. According to the latest research, the Python language turned out to be the most popular one in terms of learning the computer science. 27 out of 39 top computer science departments in the US begin their introductory courses with Python. It's fast to get along with. Python's syntax is simple and intended to be easily written as well as read. That implies an affordable project performed in limited terms.